The police in Kaduna have identified a serving Nigerian senator as a person of interest in an ongoing homicide investigation. Consequently, Austin Iwar, the police commissioner in the state has written to the senator asking him to appear on April 30 at the Command Headquarters in Kaduna for questioning. “This is in connection with a case of criminal conspiracy and culpable homicide transferred to this office by 1 Division, Nigerian Army, Kaduna, alongside with exhibit audio CD in which your name was mentioned by the principal suspect,” Mr Iwar said in a letter to Mr Sani, APC-Kaduna Central. A copy of the letter obtained on Thursday. “This is to enable us fairly and timely conclude investigation into the matter,” Mr Iwar concluded in the letter addressed to Mr Sani through the Clerk of the National Assembly. A copy of the letter was forwarded to Senate President Bukola Saraki. The specific case for which the senator is being sought is also not immediately ascertained. But there have been several reports of violent confrontations between Mr Sani’s supporters and loyalists of Nasir el-Rufai, the Kaduna State governor. The crisis has also left the APC chapter in the state factionalised. The police commissioner told PREMIUM TIMES that the case was not politically-motivated. “A case was transferred to me and I am handling the case,” Mr Iwar said, adding that he would not give further details on the matter. “The matter is currently under investigation and we don’t think we have reached a stage yet where we could inform the public about it,” he added. Mr Iwar also said Mr. Sani will not be detained if he honoured the invitation, saying the police would have picked him up at the Senate if they had any intention of arresting him. 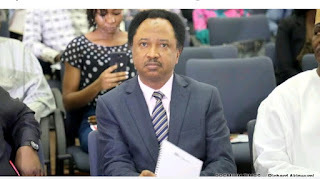 Sen. Sani blamed the Kaduna state governor, Nasir El-Rufai, for the move by the police. He alleged that the Kaduna government had concluded plans to frame him up with a murder case. The state government is using the instrumentality of the police to carry out this act, Mr Sani said Thursday afternoon. He said the plan was revealed to him through a letter already prepared by the police inviting him for interrogation on the said murder case. “There is an attempt to frame me up with a murder case by the Kaduna State Government using the police. A letter has been written from the office of the Commissioner of Police office but it has not been delivered to us,” he said. Sen Sani said the case for which he was invited by the police is already before the court. “This is a case that is before the court of law. The governor wrote the judge expressing his interest in the case,” he said. He alleged that Gov El-Rufai wrote the judge handling the case to express interest in the case. Sen Sani also sent a copy of the letter dated February 26 . A spokesperson for the Kaduna state governor, Samuel Aruwan, declined comments.